Because of a medical industry that grows more complex by the hour (and the continuous need for doctor's to get paid for their services), medical billing from home, as well as medical transcription and medical coding, has become a popular home-based business. Medical billing refers to processing doctor's claims with insurance providers and billing patients. Billing services also include sending payment reminders and posting payments as they come in. Medical coding is the medical industry's standard for coding medical bills, and it requires specialized training. You also need a modern computer system and appropriate software to perform medical billing services. Companies like www.usaforhealthclaims.com will sell you a program that includes the software, marketing materials and a list of local leads to start a medical billing from home business. 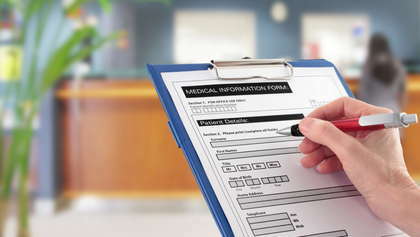 Medical transcriptionists convert dictated reports from physicians and other healthcare professionals into text format. You need to enroll in an online training or community college program in order to obtain the skills you need for medical transcription. Because it is often difficult to find medical transcription work without prior experience, choose a program that offers an internship or job placement after program completion. Be prepared to purchase a transcriber and transcription software before you start your first job. Search local online classified ads at www.craigslist.com and www.careerbuilder.com to find medical practitioners in your area who are currently looking for medical billing or transcription services. A website specific to medical billing and coding jobs is www.medical-billing.jobs.net. This website allows you to post your resume and search for medical billing jobs by city and state. If you aren't sure how to go about landing your first medical billing accounts, a good place to go is to a forum for medical billing. There are many tips for how to find jobs as a new medical biller within the forums at www.medicalbillingandcoding.net. Take advantage of what you can learn from the experience of other medical billers. Join several forums and be active, both by asking questions and sharing your own advice. Networking on forums also creates the possibility of future job referrals from other medical billers. Another way to find medical billing jobs is to join a medical billing association like The American Association of Medical Billers or American Medical Billing Association. Like most professional associations, members of medical billing associations get access to job boards, business start-up programs and online training courses, as well as a professional listing with the association and the credibility that being a member entails. Most associations have annual fees and different levels of membership. Medical billing and coding jobs, as well as medical transcription, constitute legitimate work at home opportunities. Medical billing from home requires the purchase of necessary equipment and software (and knowing where to look for jobs). Use online classified ads, join medical billing forums and become a member of a medical billing association for the best chance of finding the kinds of medical billing from home jobs that you seek.